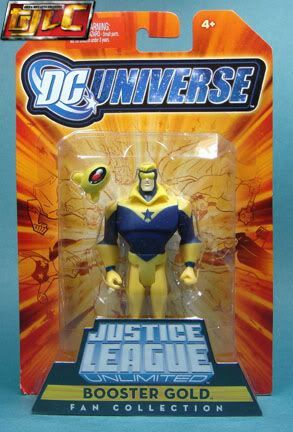 Sinestro Corps. 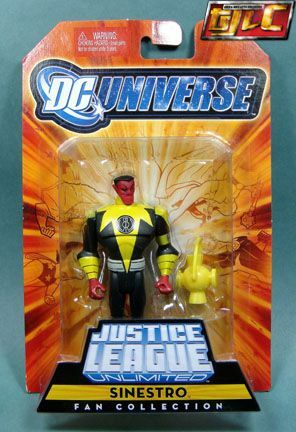 version Sinestro (doesn’t appear in the show). 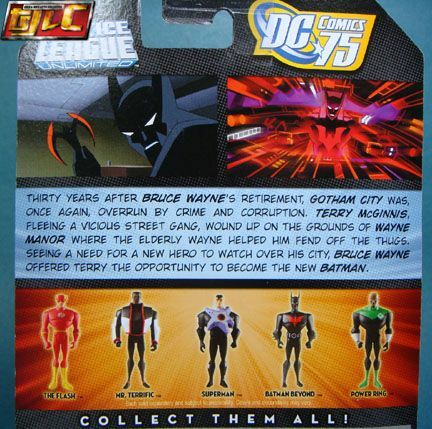 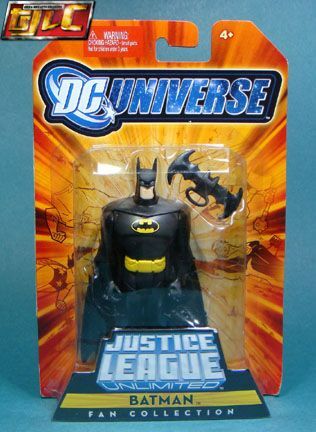 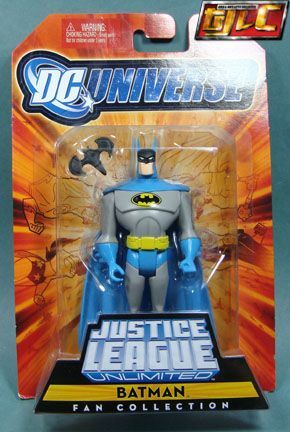 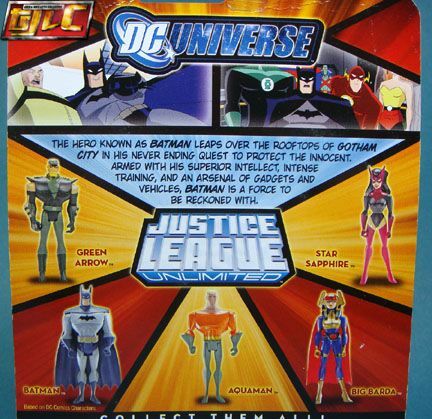 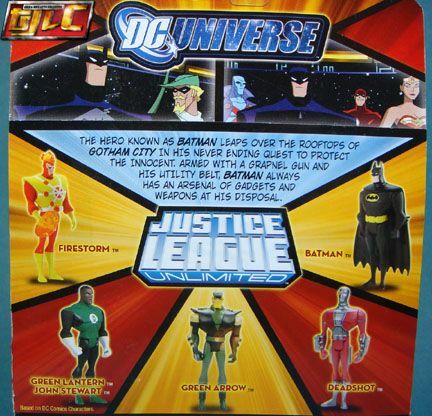 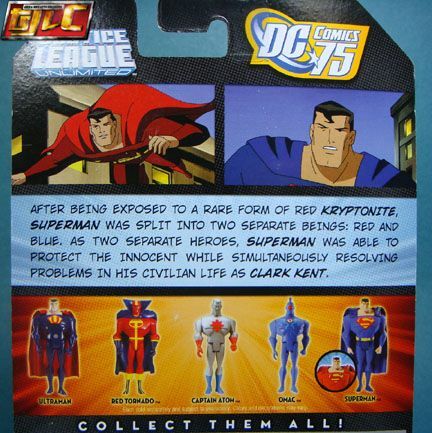 Classic Colors (“Super Powers”) Batman (doesn’t appear in the show). 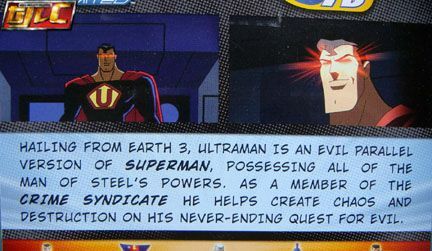 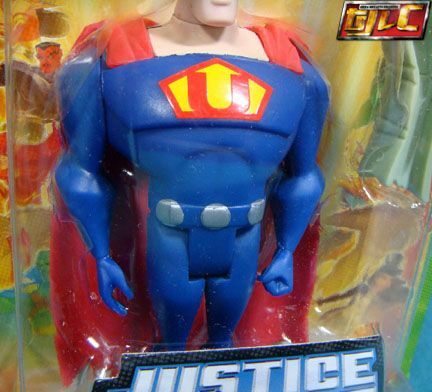 Unfortunately, Superman can only hold it up to a certain level, he can’t aim it straight forward. 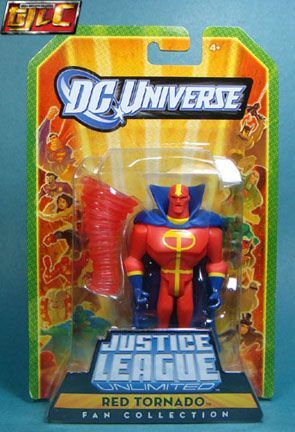 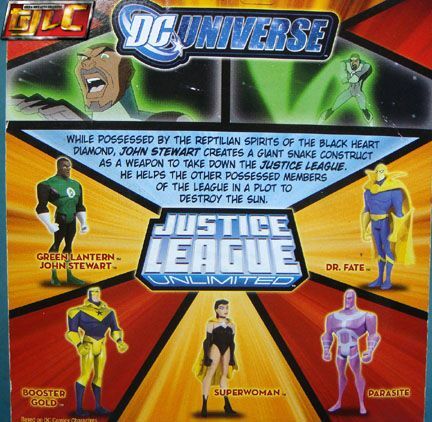 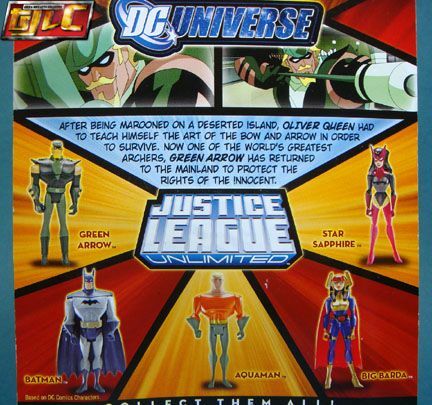 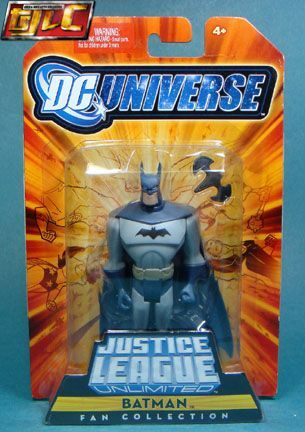 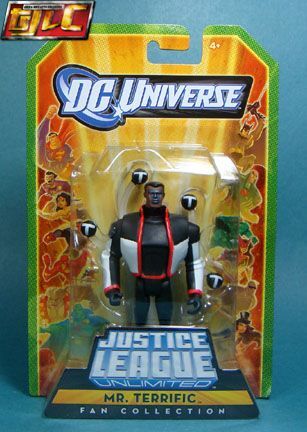 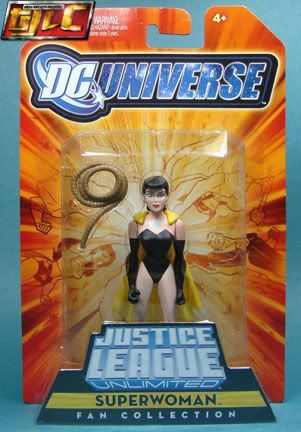 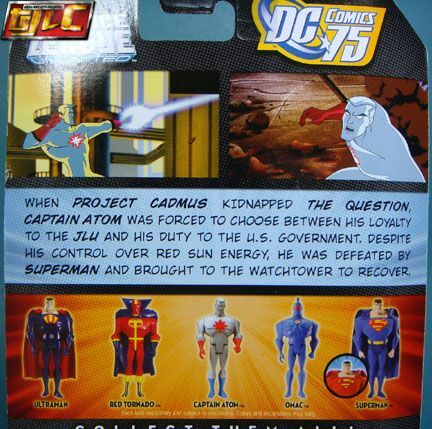 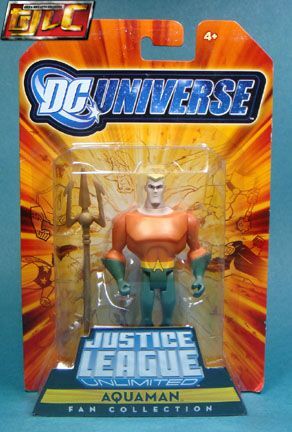 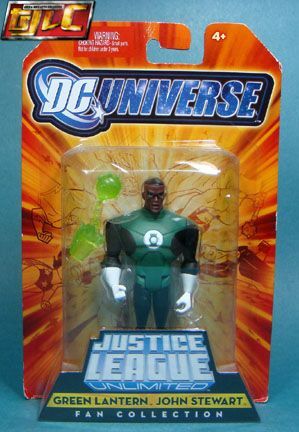 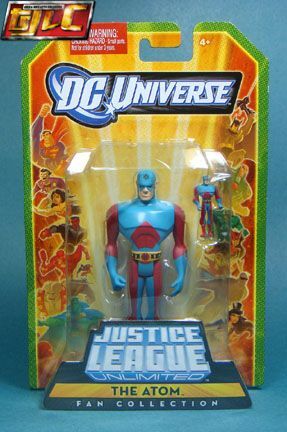 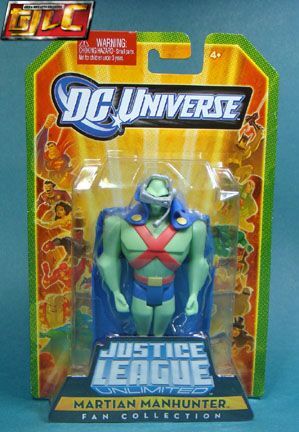 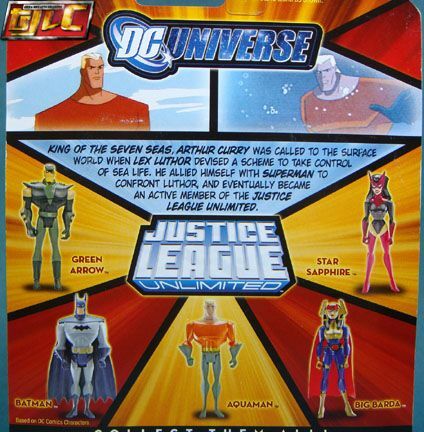 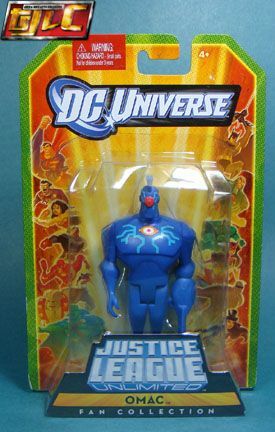 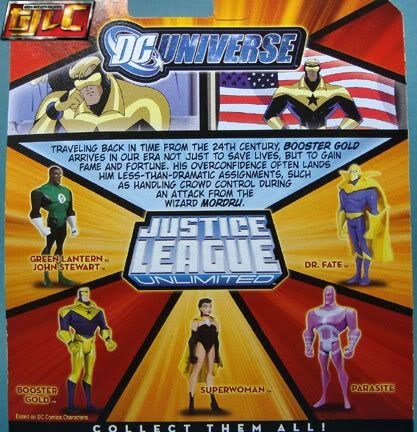 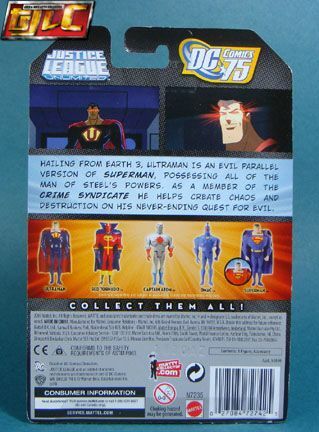 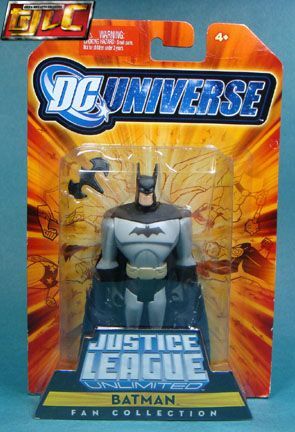 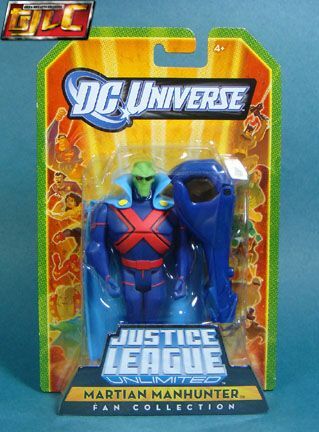 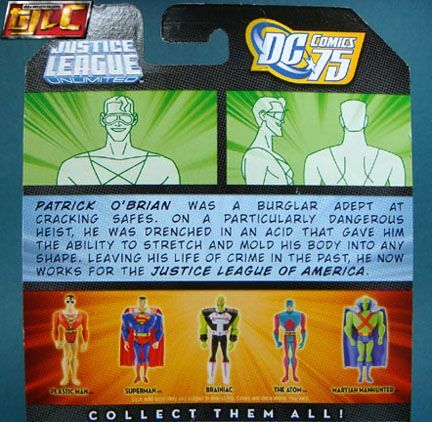 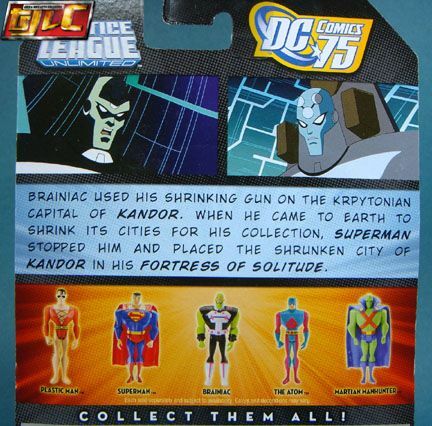 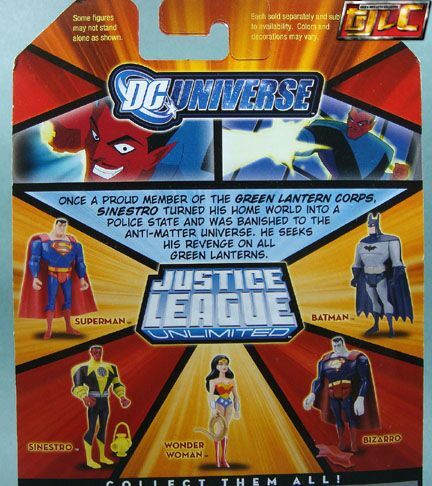 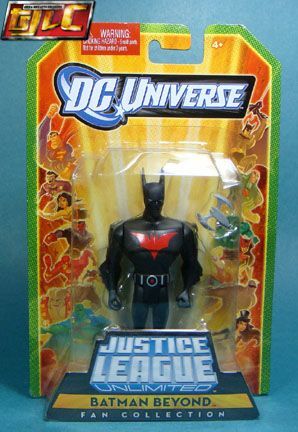 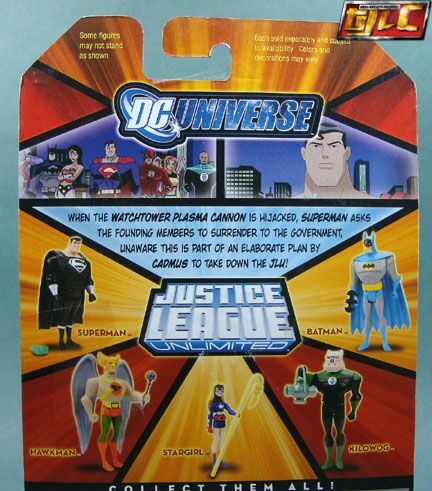 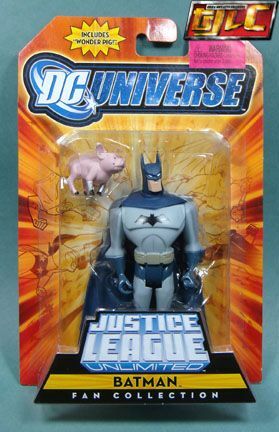 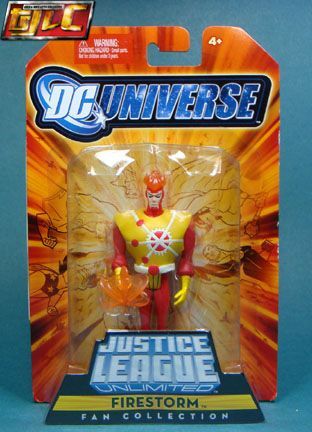 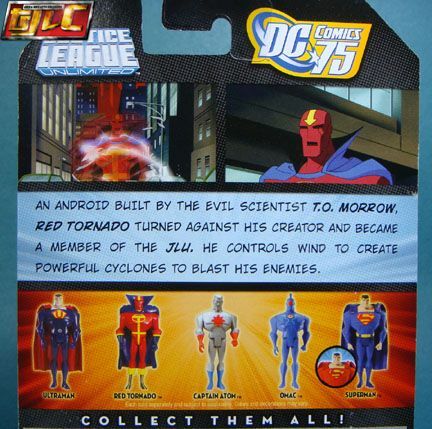 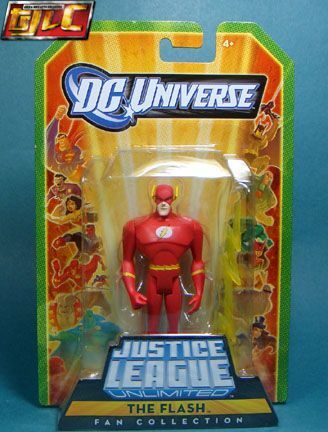 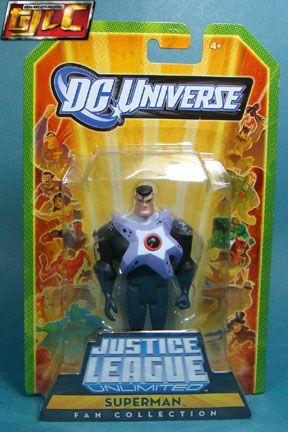 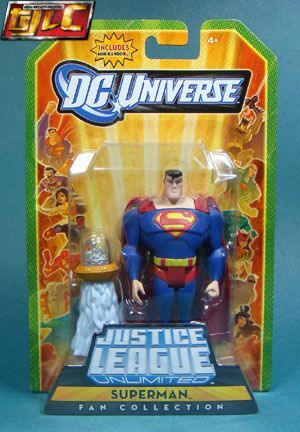 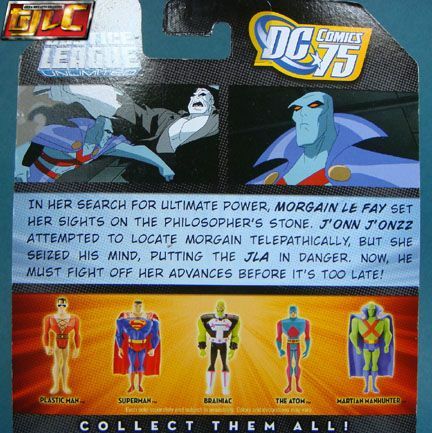 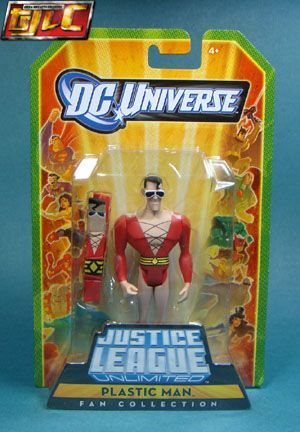 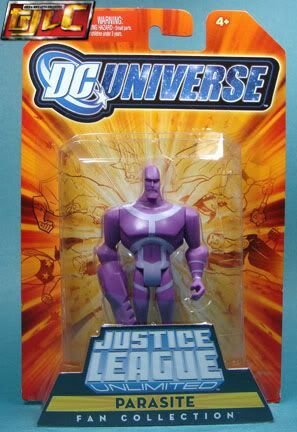 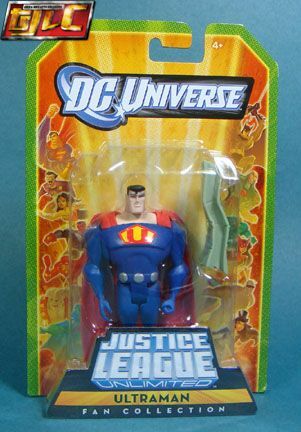 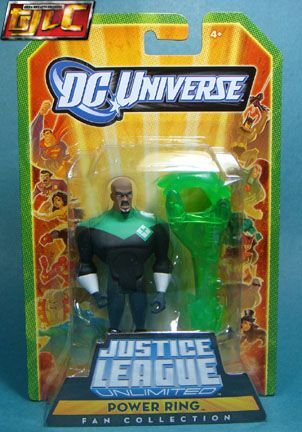 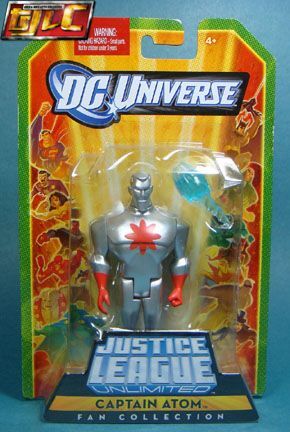 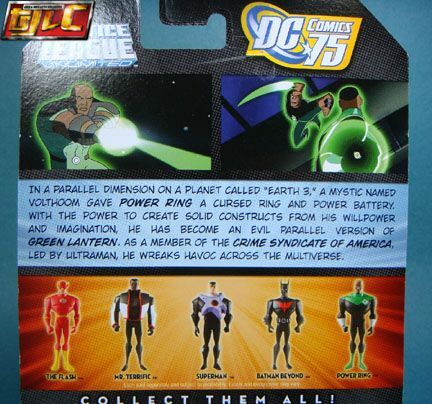 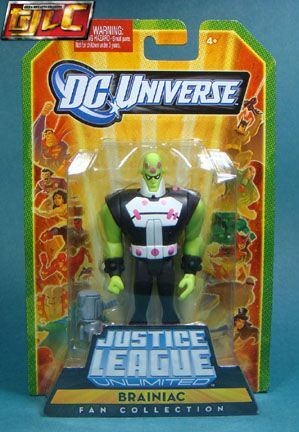 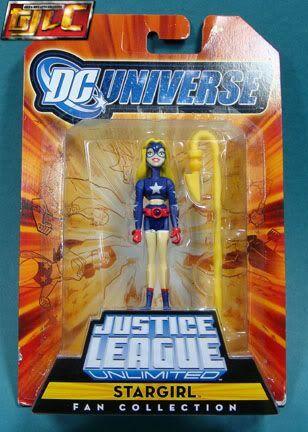 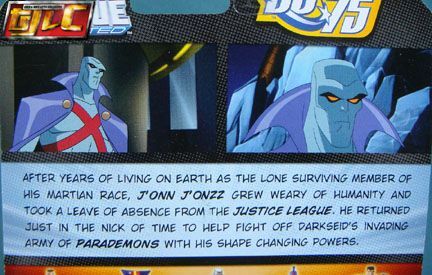 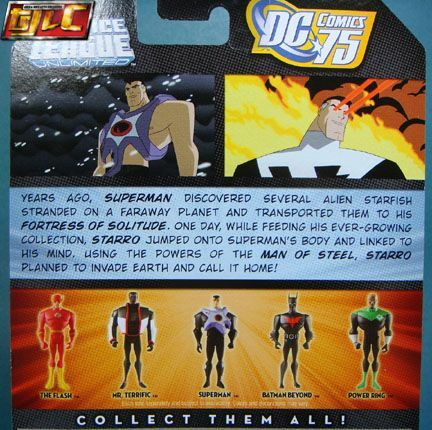 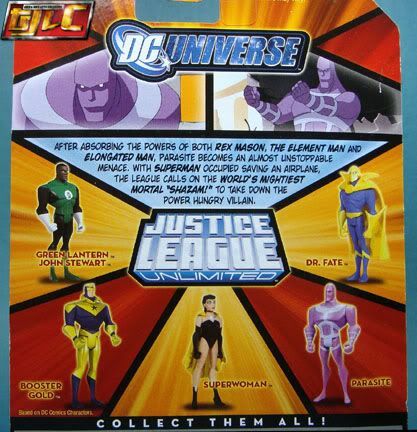 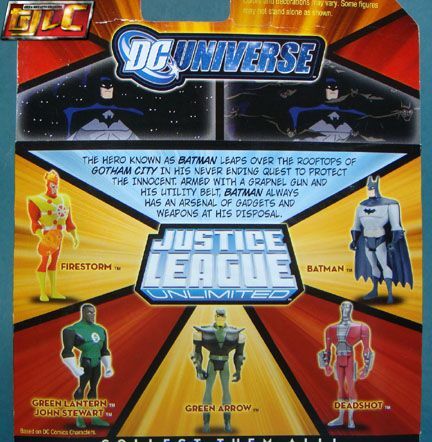 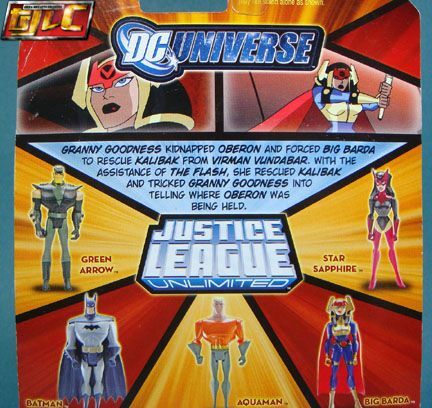 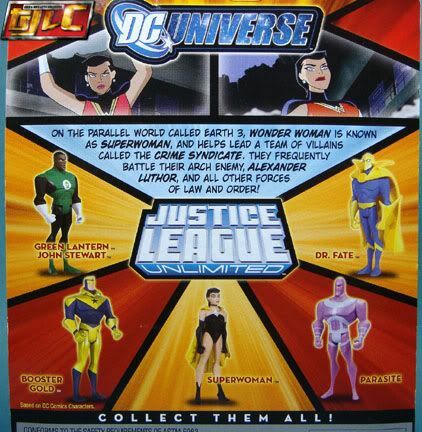 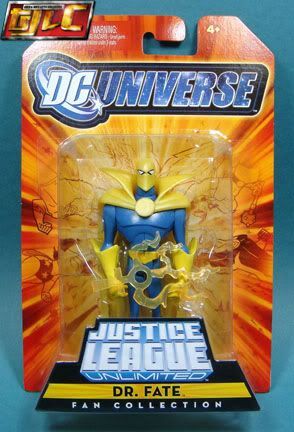 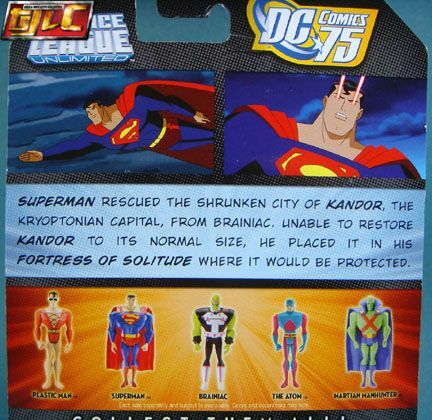 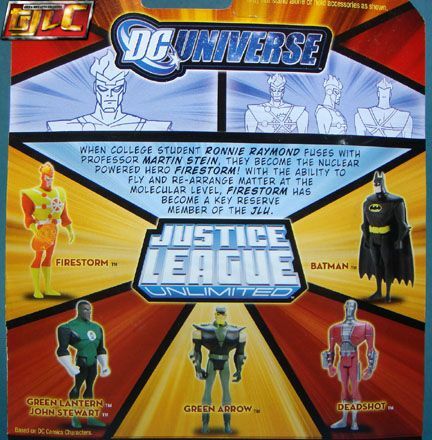 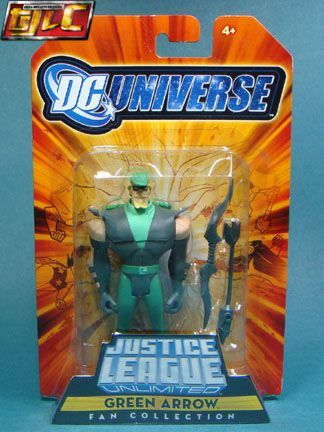 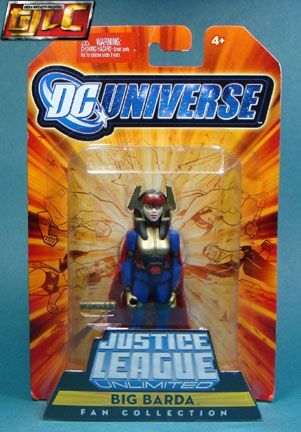 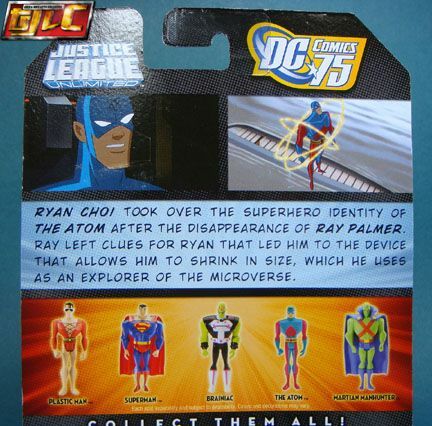 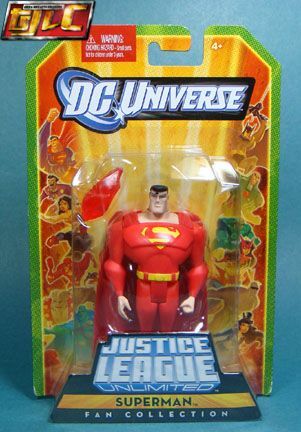 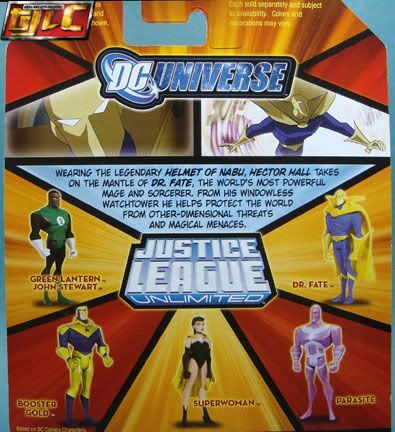 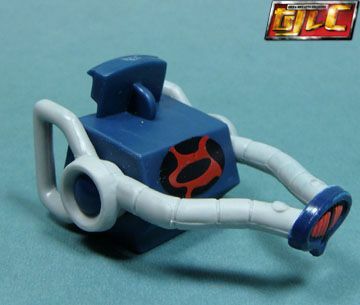 Even though the Barry Allen never appeared in the JLU series, this figure is based on his costume (the lightning design on his waist is the design based on the Barry’s Flash uniform). 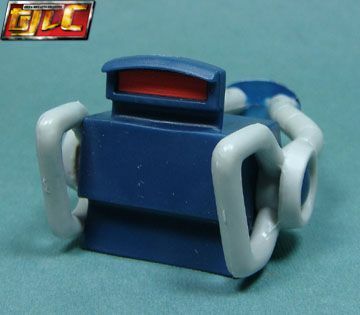 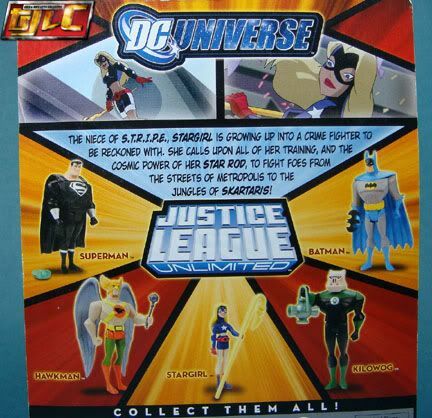 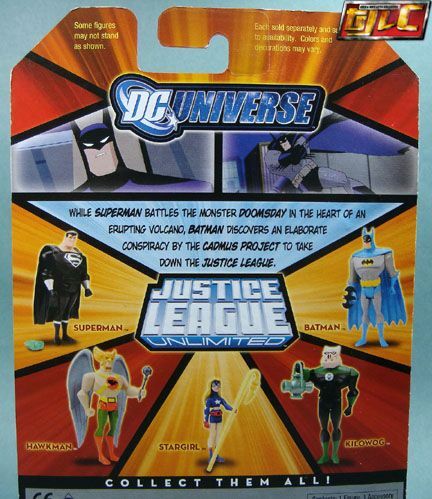 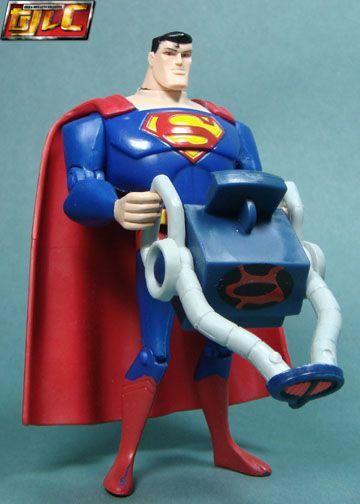 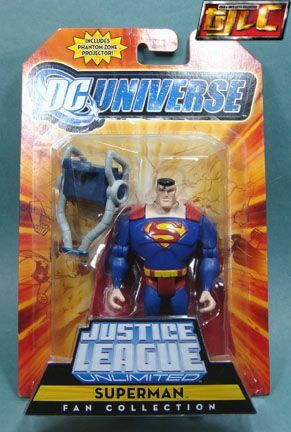 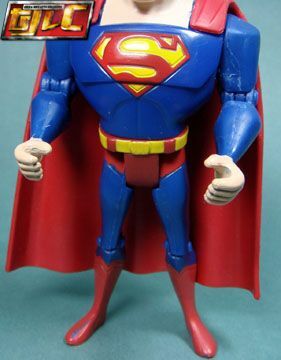 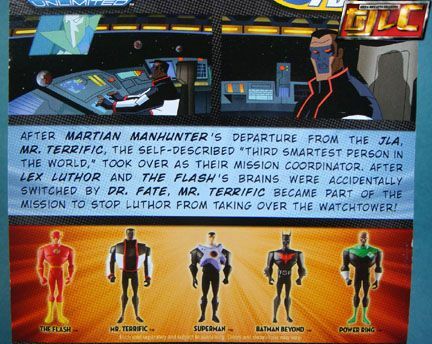 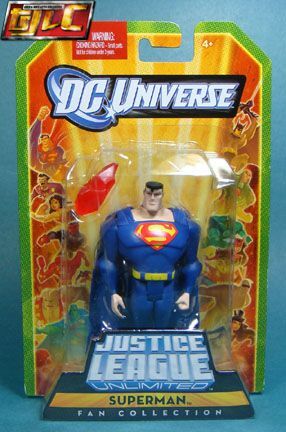 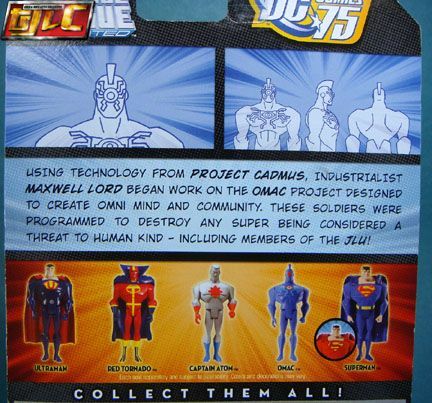 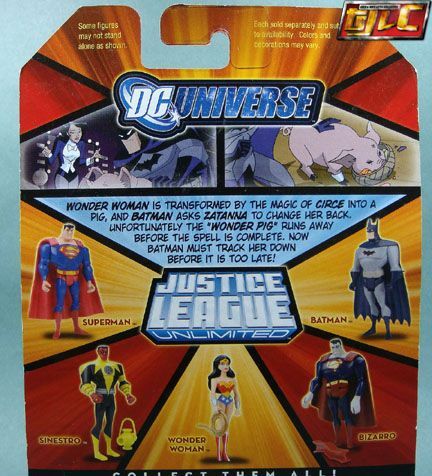 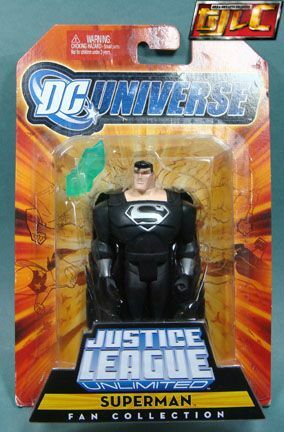 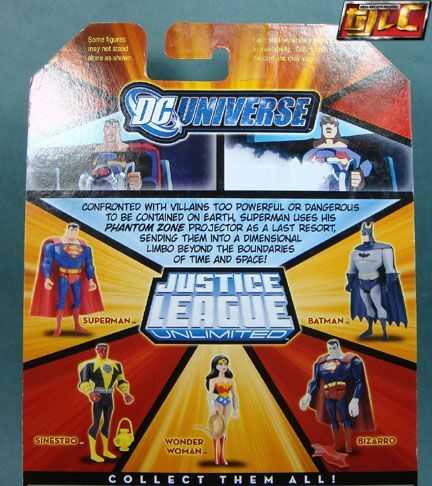 It’s too bad Mattel decided to use the Superman mold, the belt is quite obvious, I think using a “beltless” body for a base would have been better. 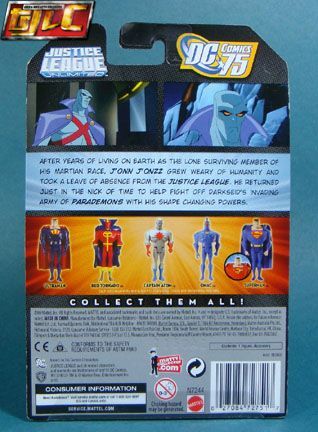 Whew… one day, I’m going to go berserk and open every last one of these guys and display them all up. 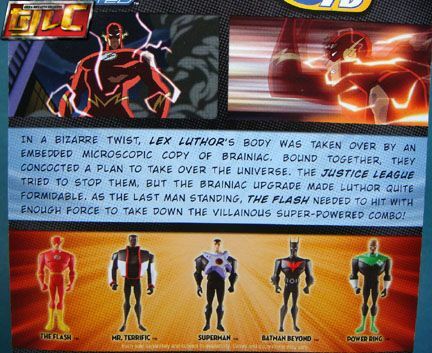 This line is so amazingly expansive in terms of character rosters!